If you ask your son or daughter what kind of birthday party they want, we're gonna bet they will come up with some character from a movie or show. When we think of “character” themed birthday parties, honestly?? ?, we kind of cringe! :/ We pride ourselves on being creative and thinking outside the box so planning a unique and stylish party around a cartoon seems challenging to say the least! 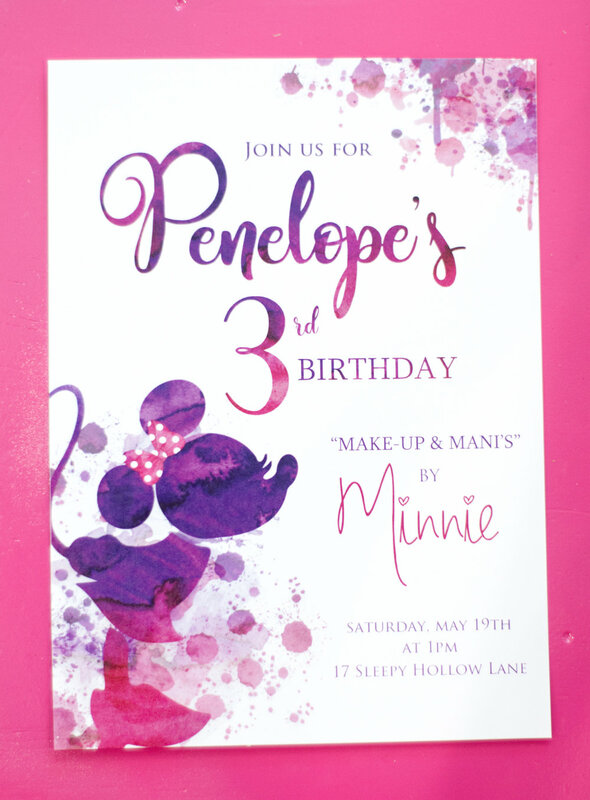 But Jaime’s daughter Penelope is completely OBSESSED with Minnie Mouse and she made it very clear that she was not going to negotiate the theme for her 3rd birthday! Ha! So we decided to give the character themed birthday party a try! We wanted the aesthetic to feel clean and modern but still youthful and fun! We partnered with the uber talented designer, Radwa Hafez from Peony & Blush Designs, to bring our vision of a “Modern Minnie” to life! Through our collaboration, she was able to come up with a colorful and vibrant Minnie silhouette with a splash of water color that would be the perfect accent for all our party decor. It wouldn’t be a Minnie Mouse party unless there were manis and makeovers involved! :) We were thrilled to team up with Townley Girl for all the darling Minnie Mouse accessories that made the party of every little girls' dream come true! 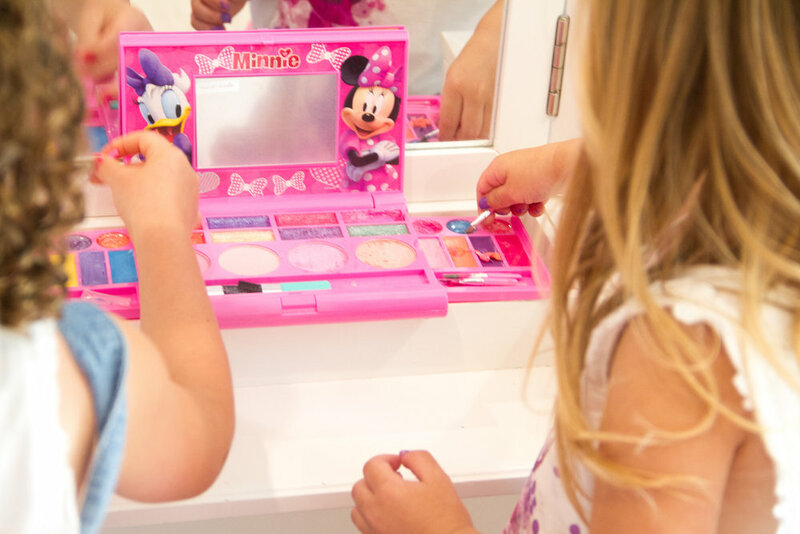 From press on nails and polishes, to lip glosses galore, a Minnie makeup kit and the most amazing Minnie Mouse nail dryer, the girls couldn't help themselves and dove right in! 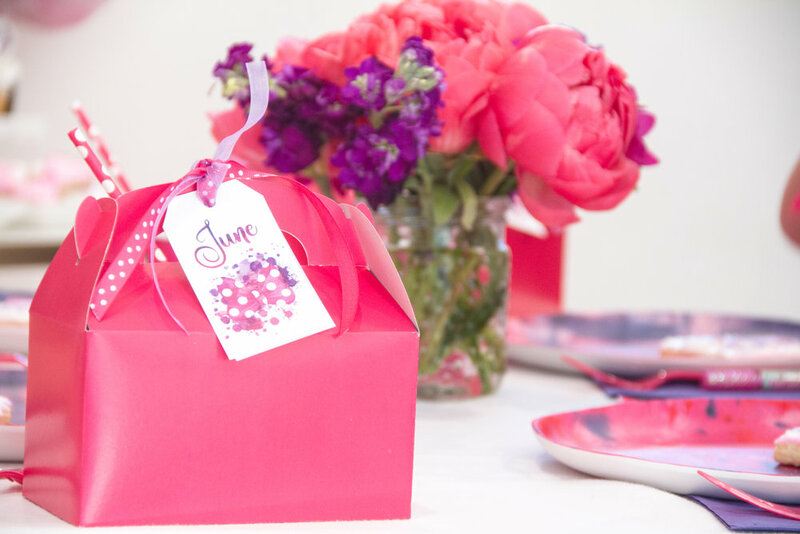 They are your one stop shop for the cutest party favors around! We were lucky enough to have the incredible Ines Lucia Puig from Caramela by Ines do a custom fondant cake and it was stunning!! Almost too pretty to eat! Of course we also had to have our fave girl Maria from Big Mama's Sugar Cookies create a coordinating batch of the MOST delicious Minnie sugar cookies. They were the perfect addition to our dessert table! And to really put it over the edge, we made bright pink cotton candy in the shape of Minnie Mouse heads and topped them off with signature pink polka dot bows! We had so much fun creating and styling this unique party based around such a classic character like Minnie Mouse who is LOVED by so many! We hope next time your kids ask for a character party you won't be like us and cringe (lol ;) but will take a chance with it! Who knows, you might surprise yourself!